Rightster is a global Business to Business (B2B) video network that provides cloud-based services to optimise the distribution, sourcing, audience engagement and monetisation of live and on-demand video. In May 2016 Rightster re-launched under the name Brave Bison. The company describes its software and services as an “upload once – commercialise everywhere” solution for sports, fashion, news, entertainment and viral rights holders to maximise the reach and value of their video content. Brave Bison also operates a multi-channel network on YouTube, consisting of almost 4000 channels. 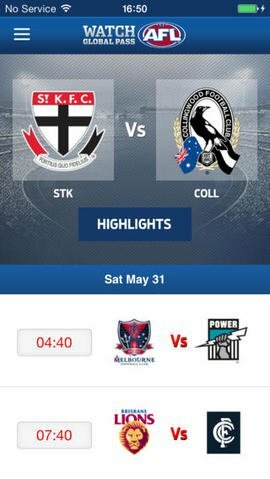 Rightster was selected by the Australian Football League (AFL), to launch the Watch AFLTV. 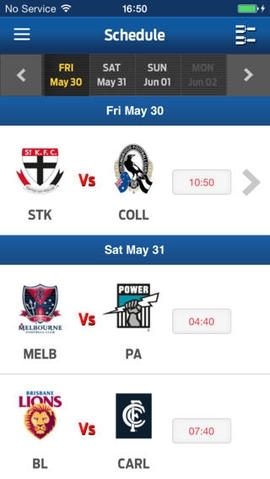 The service provided access to live and on demand AFL games to fans outside of Australia and New Zealand. This is a unique agreement that offers live and on-demand access to all AFL matches. The team at Rightster initially built both an iPhone/iPad application as well as an Android Tablet only application to support the initiative. Can Factory were invited to work with Rightster to extend the iOS application to optimise it for the latest devices in 2015. The team at Can Factory worked to extremely tight deadlines to implement the desired improvements in their app. In order to fit into the tight deadlines, Can Factory integrated their best of class development environment with the Rightster source control tool taking over the management of the codebase for the duration of the project. Once the project was complete, all code was checked in and the team at Rightster were able to test and release the app directly into the iOS store. The team continued to carry out some of the same improvements across the Android application, once again with very tight timescales. One of the major issues was a display problem that had surfaced with the newest version of Android at the time. The team were able to quickly resolve the issue, incorporate a number of changes and once again return the application codebase to Rightster so they could deploy to the Google Play Store. One of the key changes during the above developments was to assist the Rightster team in migrating the applications from their legacy video platform onto their newly released and vastly improved platform. In 2016, Can Factory were again asked to refactor the Android phone only application so that it would run on tablets. The team took the existing codebase and started about extending and tweaking it to work on tablet devices. All of the projects were successful and were carried out by the team in Can Factory’s London office within extremely tight deadlines. Another example of how Can Factory can work with you and your business on not only new builds, but also to extend and improve existing digital platforms to take advantage of changes in technology or back office.